In Necessary and Proper Clause, it says that congress is able to create laws. In the Supremacy Clause, it breaks down to saying that the constitution and all its laws is the supreme Law of the Land. These two clauses relate to the rule of law because the Supremacy Clause makes it so that the government is ruled by law, and not by people. The Necessary and Proper Clause makes it so Congress can add or fix anything to the constitution if needed for the Rule of Law to work. When John Adams defended the soliders of the Boston Massacre, he realized that law should be ruling the people. He thought this because the penalty, if proven guilty, was execution. Though he won the trials, he went on with the idea of the Rule of Law. It signifies that rule have more power then ruling by law. John Adams defending the soliders at The Boston Massacre Trial. When pilgrims came to America, they made a document called The Mayflower Compact. This document stated their purpose and rights that go with their new government they established. 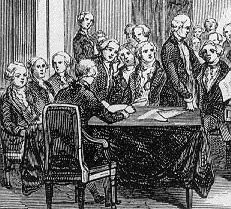 This was the first document the modeled the rule of law in the United States. 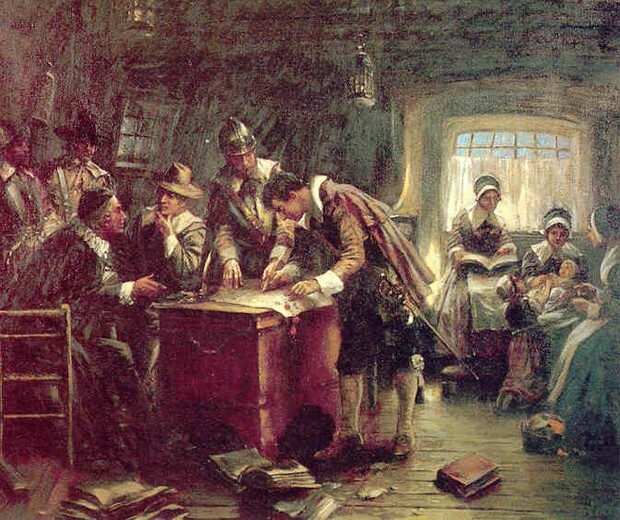 Pilgrims establishing and signing the Mayflower Compact. Historical Example: Martin Luther King Jr.
Martin Luther King Jr. ha a different view on the Rule of Law. In The Letter From Birmingham Jail, he quoted, “one has a moral responsibility to disobey unjust laws,”. This meant in the time of the Civil Rights Movement, the unjust law were the segregation laws. His view on the Rule of Law was that man should follow laws, but they should not be unjust, or unethical laws. 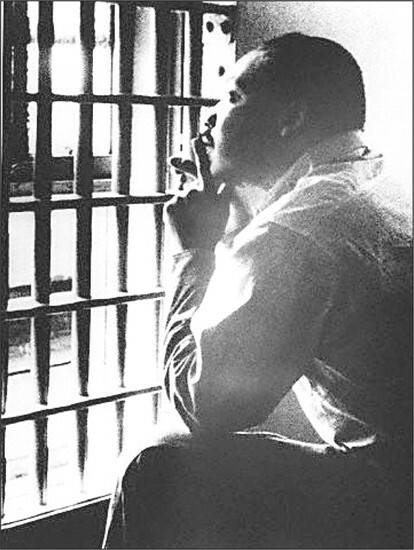 Martin Luther King Jr. in jail.